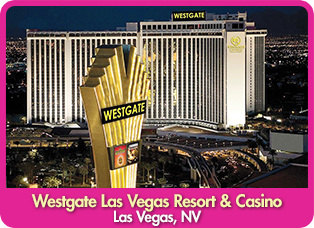 Las Vegas, NV Academy will be held at Westgate Las Vegas Resort & Casino. Ideally located just one block from the world-famous Las Vegas Strip, the legendary Westgate Las Vegas Resort & Casino offers only the finest amenities and offerings, spacious hotel rooms and suites in a relaxing atmosphere, and easy access via the Las Vegas Monorail to the excitement of the Las Vegas Strip! Room rates are $115, single/double (+ taxes) per night, including the $34.99 resort fee. To register by phone, call 800.635.7711. To book online, click here. Book your room today! Subject to availability. 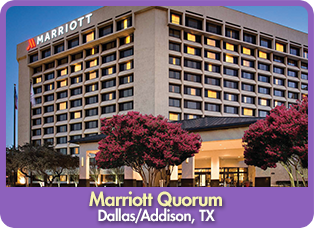 Dallas, TX Academy will be held at Dallas/Addison Marriott Quorum by the Galleria. The Dallas/Addison Marriott Quorum hotel near Dallas Galleria is centrally located in the heart of Addison near premier restaurants, entertainment, and shopping. A north Dallas landmark, this Addison, Texas hotel is close to the Village on the Parkway, Addison Circle Park, and Vitruvian Park. Room rates are $118, single/double (+ taxes) per night with complimentary self parking. Participants are responsible for their own hotel accommodations and transportation. Avis is offering Winter Academy attendees a special discounted rate on car rentals. Please use Avis Worldwide Discount (AWD) number J995219 when reserving your car through Avis. Car rentals can be made by calling Avis directly at 800.331.1600 to receive the best possible car rental rates available, or online at www.avis.com. Call 800.266.7576 to pay with credit card. Or, e-mail completed registration forms with a P.O. to registration@KaganOnline.com. Identify free administrator registration(s), and include a business card copy for each free administrator.